Every spring for the past 10 years, Vancouver has celebrated everything Bhangra in an all-out dance party and music-fest showcasing the music and dance of the Punjab regions of India and Pakistan, and this year is no different. Vancouver International Bhangra Celebration (VIBC) presents the 10th annual City of Bhangra Festival with 10 days of dynamic performances happening on indoor and outdoor stages, parks, clubs and even in the middle of downtown Vancouver. 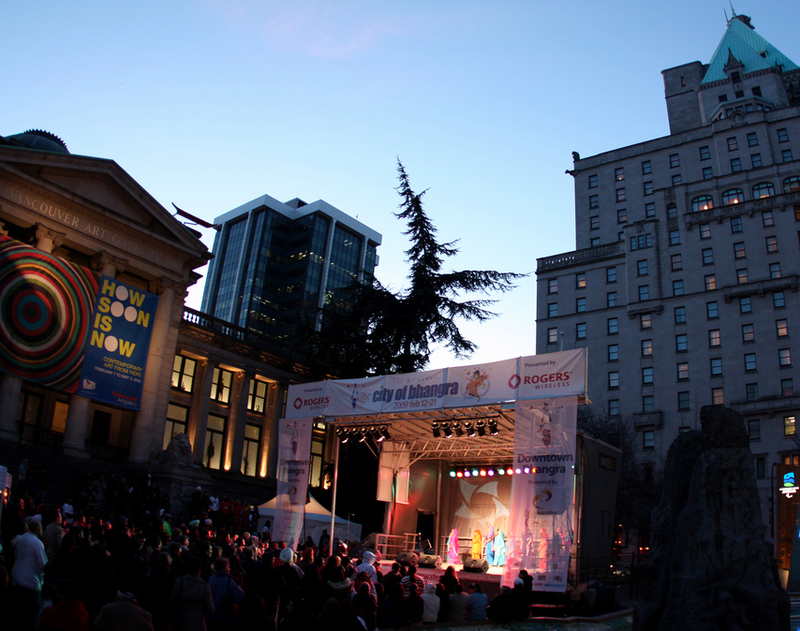 The festival begins on Thursday, May 29 and culminates with two days of free outdoor performances smack in the middle of downtown at the Vancouver Art Gallery Plaza. Don’t miss this unique opportunity to experience First Nations, Jewish, Hip-Hop and Garba dancers creating intercultural mash-ups by blending bhangra moves with their own indigenous folk traditions. In an inspired twist on the traditional mehfil style, Naad Foundation and VIBC join to create an evening of global fusion featuring Saanjh (meaning “connecting, sharing, partnering”) in a unique and mesmerizing mosaic of North Indian classical, progressive rock, jazz, funk, Punjabi folk and Caribbean groove. 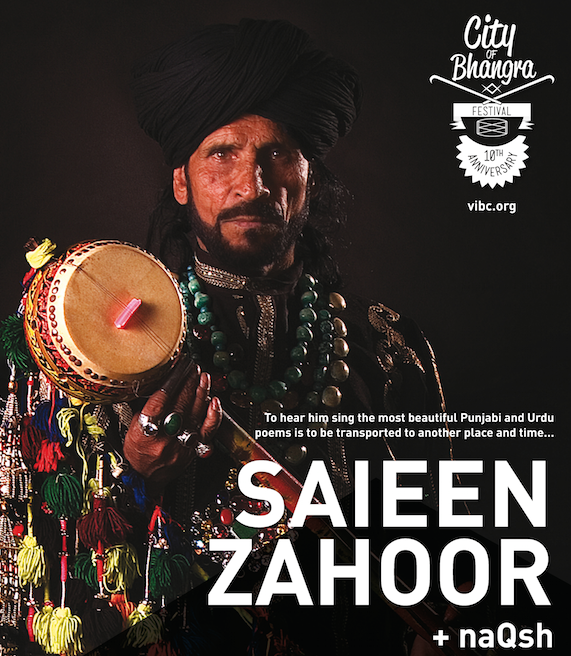 Sufi mystic from Pakistan, Saieen Zahoor, takes the stage with his famed ektara in VIBC’s first concert hosted in solidarity with Punjabi communities from Indian and Pakistan. The first of two events focusing on the academic and intellectual aspects of the bhangra movement. VIBC creates a space for local and international artists, performers, community members and bhangra enthusiasts to connect and share ideas. VIBC and Music on Main team up for an evening with female Pakistani artist Qurat-ul-Ain Balouch (aka QB). Join QB and her band for an intimate acoustic set highlighting Punjabi folk traditions and popular music. The second of two events focusing on academic and intellectual aspects of the bhangra movement. Two days of bhangra entertainment in the heart of Vancouver: big beats and electrifying performances for the whole family! Hundreds of local and international dancers, dozens of musicians and thousands gathered at the Vancouver Art Gallery Plaza outdoors. Time: Friday – 5 to 10 p.m. / Saturday – noon to 10 p.m.